Triple Crown Charity Fundraising provides Authentic Sports and Entertainment Memorabilia, and "Experience" events, for Silent Auctions at Charity Golf Tournaments, Charity Galas, Balls, and other Fundraising events. Your organization is GUARANTEED TO MAKE MONEY on EVERY ITEM THAT SELLS and YOUR REVENUE ESCALATES as the bidding increases. Any items that do not sell, Triple Crown Charity Fundraising takes back. 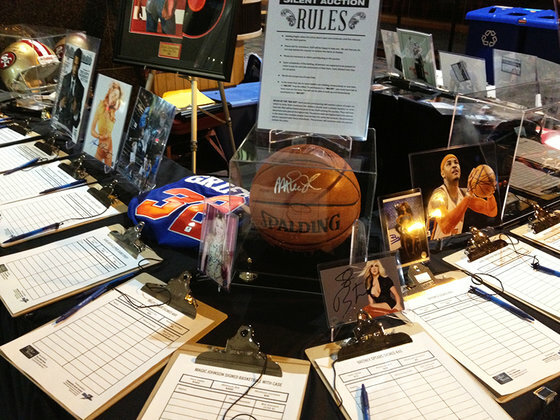 If your event is in the New York, New Jersey, or Connecticut area, Triple Crown Charity Fundraising has a Silent Auction Solution to meet your specific needs.